NO HOA, NO MELLO ROOS. 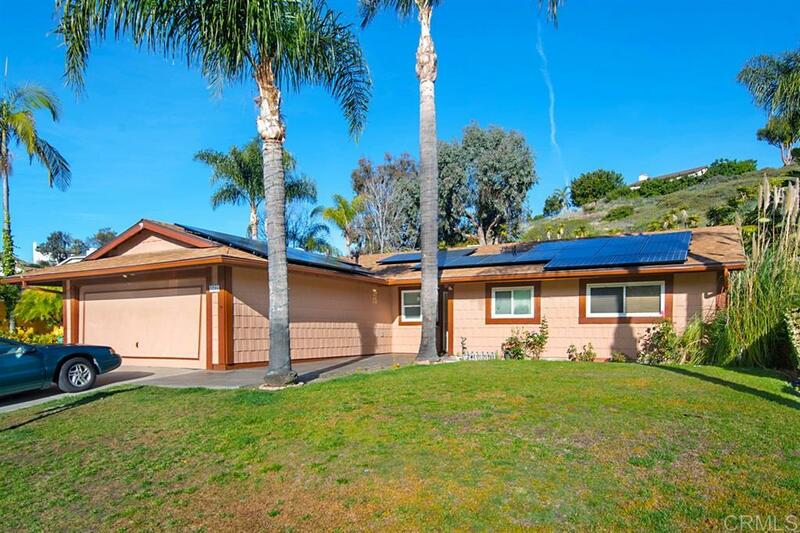 Wonderful single story in highly sought after Mira Costa Estates community. Brand new kitchen cabinets, counters, and flooring. Open floor plan, kitchen opens to family room w/fireplace. Entertainers delight w/covered patio- French doors lead to patio. Over 1/2 acre lot- HUGE hillside backyard-largest in neighborhood- unlimited potential- lots of privacy! Sunpower solar lease and new roof of 2 1/2 yrs. TLC needed, so come with ideas!! Back on market- no fault of property., Minutes away from the 78 and multiple shopping centers. Walking distance to Christa McAuliffe elementary school. 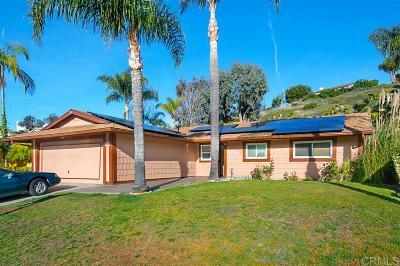 You CAN NOT find more privacy and this much property at the price point anywhere in Oceanside. Perfect starter home!! Courtesy of Harcourts Sand and Sea Prop.